Please check all the information below carefully it is your responsibility to comply with terms of Shambala Express travel and be on time for your departures. REMINDER: If you have a Shambala Express adult ticket at any tier you must come by coach. Your discounted festival ticket will not be valid for entry if you do not arrive on the coach. No ifs, no buts, no entry. If for any reason you now cannot come on the coach your only choice is to get a refund from The Ticket Sellers as soon as possible (only available in advance of the event subject to T&Cs). BOOK YOUR COACH TICKET HERE. 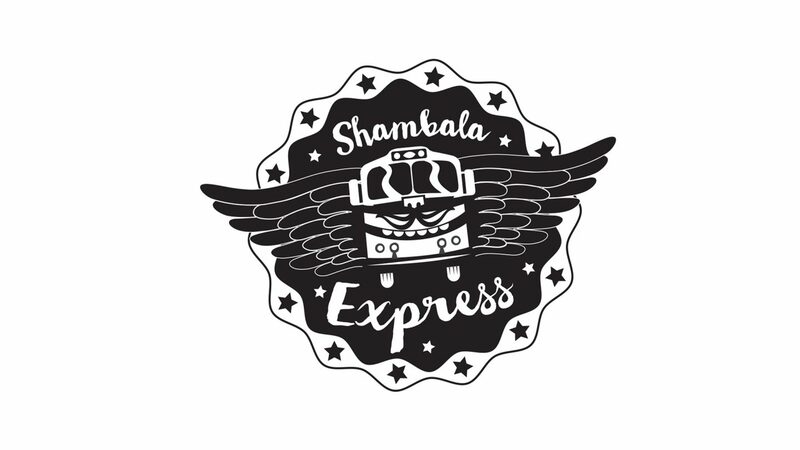 Why choose the Shambala Express? ITS A BARGAIN! We subsidise all coach tickets as part of our green travel plan and there are no booking fees on coach tickets. Get £15 off your adult festival tickets if you buy a Shambala Express package – adult ticket and coach ticket bought together. Start the festival when you step on board, with the famous Shambala quiz (amazing onsite prizes), festival soundtrack, and freebies! Start your festival as soon as you board with on-board entertainment including Shambala movies and big prize bingo! Prices range from £20-28 return, but kids (15 and under) are half price. These prices and the discounted tickets are subsidised by the festival car park charges to keep prices affordable. We have also agreed with our ticket agent that no booking fees will be applied to encourage as many as possible to come on the coach as part of our green travel commitment. You can add coach tickets to your e-ticket order at any point (subject to availability), but the earlier the better. When boarding the coach you simply need your coach e-ticket and to know your name and booking info. This is only for use at the end of your magical mystery journey, on site at the entry gate. Thursday departures available on 22nd August for all routes. All pick up points for 2019 TBC. Please pack sensibly luggage restrictions apply. You must be able to carry your luggage (see T&Cs for more info). The coaches have a limited storage space and weight capacity, stewards may require you to leave luggage behind. There are shops and good bars onsite where you can buy all you need. All return coaches leave the site on Monday 26th of August between 9am and 2pm. Exact departure times TBC. It is your responsibility to make the prompt departure times supplied. No alternative travel arrangements, nor refunds, will be available.